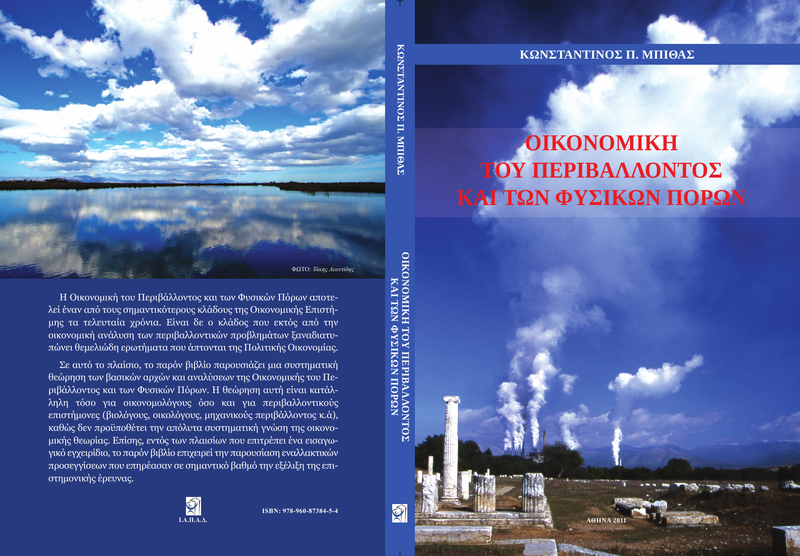 S. Kalaitzopoulou, A. Kolimenakis, S. Mourelatos, C. Richardson, K. Bithas, 2014. An economic analysis of the 2010 West Nile Virus (WNV) outbreak in the Greek Region of Central Macedonia. 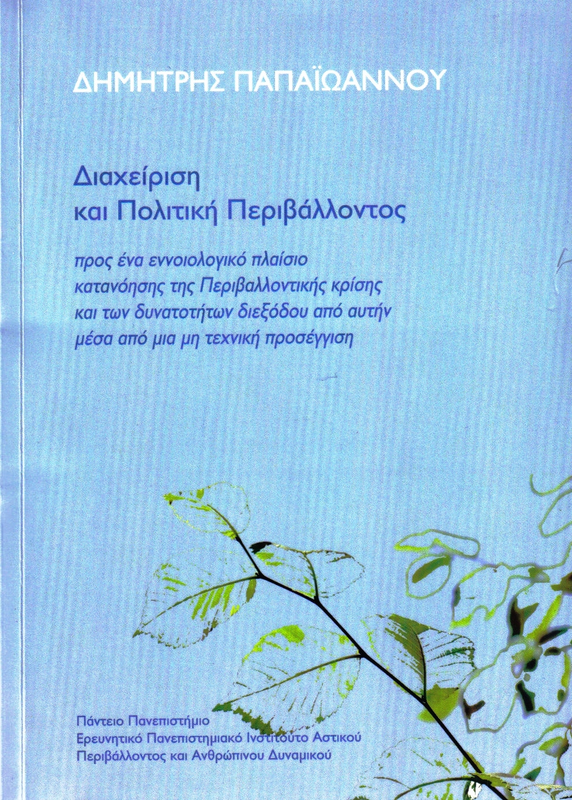 19th Conference of the European Society for Vector Ecology, Thessaloniki. K. Bithas, P. Nijkamp, 2013. Biological integrity as a prerequisite for sustainable development: A bioeconomic perspective. Research Memorandum 2013-9. Faculty of Economics and Business Administration, Vrije Universiteit, Amsterdam, The Netherlands. Kalimeris P., Bithas K., 2013. "Economic growth towards a dematerialization regime? A reassessment of global material intensity" Ref, N.: 0048. 13th International Conference on Environmental Science and Technology (CEST 2013), 5-7 Sept. 2013, Athens, Greece. Kalimeris P., Bithas K, 2013. Economic growth versus material use - is there an actual decoupling? Re-estimating the global material intensity for 1900-2009. 10th International Conference of the European Society for Ecological Economics - (ESEE2013) - Lille , France , 18-21 June 2013. Bithas Κ., Liu J., Kalimeris P., Mavromati G., 2013. "Is decoupling of economic growth from energy a reality or utopia? The cases of USA , Japan and global growth". SEVENTH BIENNIAL CONFERENCE of the U.S. SOCIETY FOR ECOLOGICAL ECONOMICS University ofVermont, Burlington , VT June 9-12, 2013, USA. Kalimeris P., Bithas K., 2012. Is There a Transition of Growth Towards Less Energy Dependence Path? Exploring the Limits of Decoupling Effects. 4th International Ecosummit 2012 - Ecological Sustainability: Restoring the planet's ecosystems services. 30 Sep- 5 Oct. 2012 , Ohio , USA.